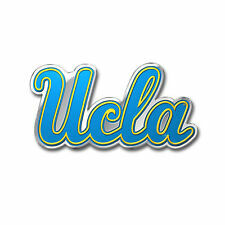 Aaron Holiday scored 20 points and UCLA defeated Utah 83-64 on Thursday night to stay atop the Pac-12 standings. Justin Bibbins made Three Point Jumper. Tyler Rawson missed Three Point Jumper. Sedrick Barefield missed Three Point Jumper. Tyler Rawson made Layup. Assisted by Sedrick Barefield. Gabe Bealer missed Three Point Jumper. Parker Van Dyke made Layup. Assisted by Justin Bibbins. Justin Bibbins made Three Point Jumper. Assisted by Tyler Rawson. David Collette made Dunk. Assisted by Justin Bibbins. Justin Bibbins made Three Point Jumper. Assisted by Sedrick Barefield. Justin Bibbins missed Three Point Jumper. Parker Van Dyke made Layup. David Collette made Dunk. Assisted by Tyler Rawson. Parker Van Dyke missed Three Point Jumper. David Collette made Jumper. Assisted by Tyler Rawson. Kolbe Caldwell missed Three Point Jumper. David Collette made Three Point Jumper. Assisted by Justin Bibbins. Gabe Bealer made Three Point Jumper. Assisted by Justin Bibbins. Chris Seeley made Dunk. Assisted by Tyler Rawson. Gabe Bealer made Three Point Jumper. Assisted by Tyler Rawson. Chris Seeley made Jumper. Assisted by Sedrick Barefield. Chris Seeley missed Three Point Jumper. Christian Popoola missed Three Point Jumper. Gyorgy Goloman made Three Point Jumper. Assisted by Aaron Holiday. Aaron Holiday made Three Point Jumper. Assisted by Kris Wilkes. Thomas Welsh made Three Point Jumper. Assisted by Aaron Holiday. Gyorgy Goloman missed Three Point Jumper. Prince Ali made Jumper. Assisted by Aaron Holiday. Thomas Welsh made Layup. Assisted by Aaron Holiday. Alex Olesinski made Layup. Assisted by Thomas Welsh. Kris Wilkes made Jumper. Assisted by Aaron Holiday. Kris Wilkes made Dunk. Assisted by Prince Ali. Kris Wilkes made Three Point Jumper. Assisted by Jaylen Hands. Prince Ali made Three Point Jumper.